Registration: 7 – 7:30 a.m. Event: 7:30 – 9:30 a.m.
Preregister to enter to win a bike donated by Trek Highland Park! Bicyclists of all ages are invited to ride the full perimeter of the Garden this one day of the year. Participants in this free event will be able to ride on the East and West Roads, enabling access to areas that are usually off-limits to bicyclists. After the ride, come to the McDonald Woods pavilion to enjoy the festivities, check out the vendors, and learn at the information tables. Helmets are recommended for all riders, and required for riders 14 and under. Children under age of 13 need to be accompanied by an adult. Don't have a bike? Rent one at the Garden! Participating vendors include Forest Preserve District of Cook County, Working Bikes, NorthShore University HealthSystem, and Trek Highland Park. 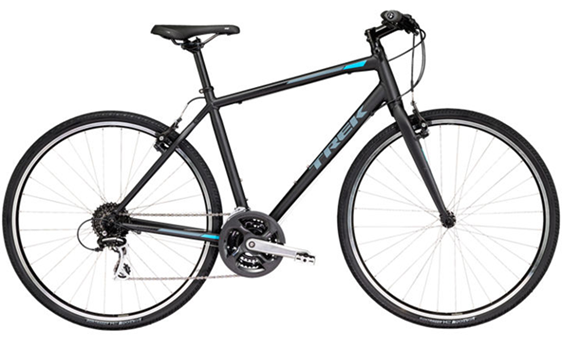 Win this FREE Trek bike at our Bike the Garden event. You must attend the event to be eligible to receive the bike.